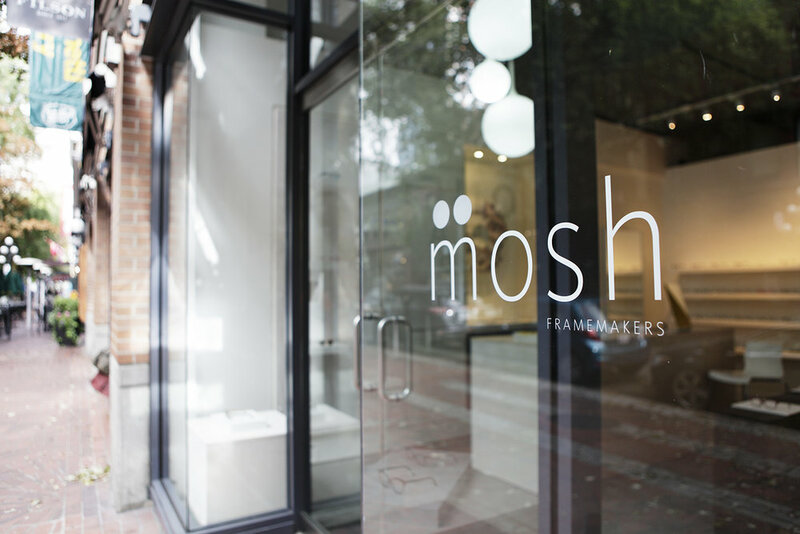 Last night, at her completely redesigned boutique on Water Street, Sara Moshurchak unveilled Mosh Designs. 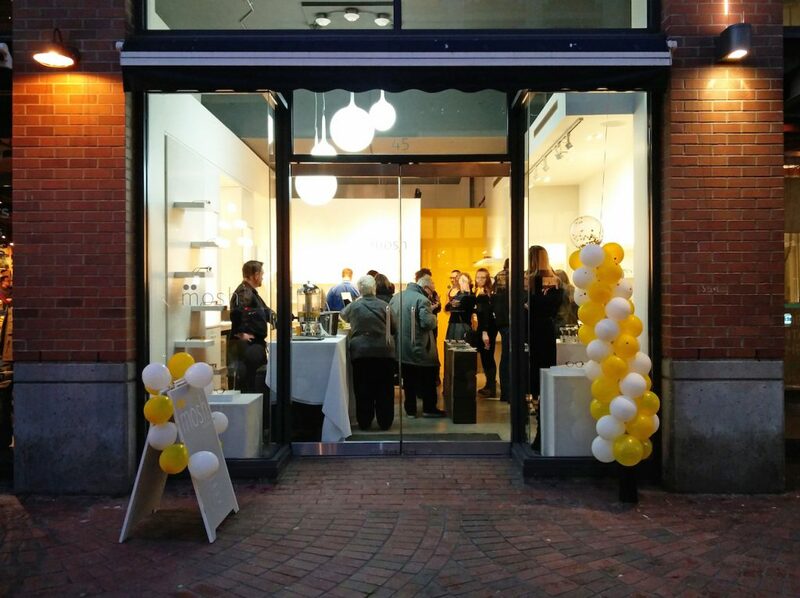 The event brought over 50 guests including media who spent the evening enjoying drinks and canapès, browsing the latest handcrafted collection of eyewear and exploring the sleek new space. Mosh is a play on Sara’s last name. While growing up no one could ever pronounce Moshurchak correctly and throughout her life she has been affectionately known as Mosh. 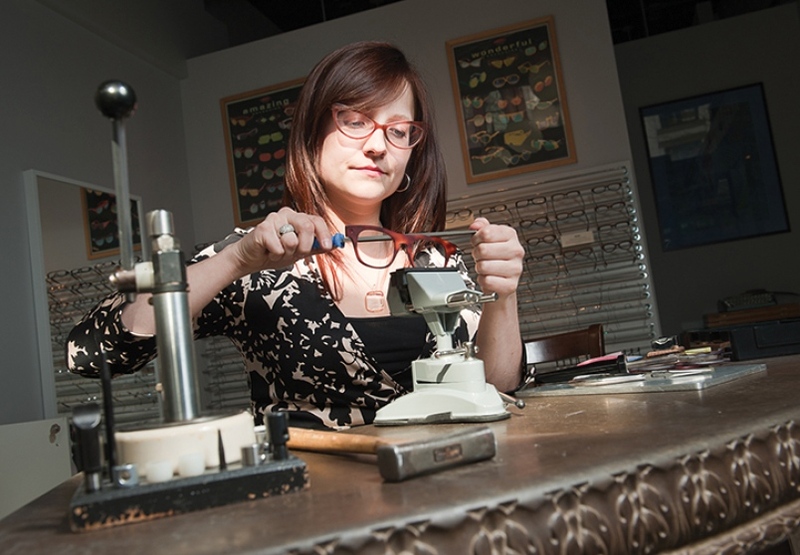 Originally set up on Granville Island, Eyeland Framemakers moved to Water Street 4 years ago. 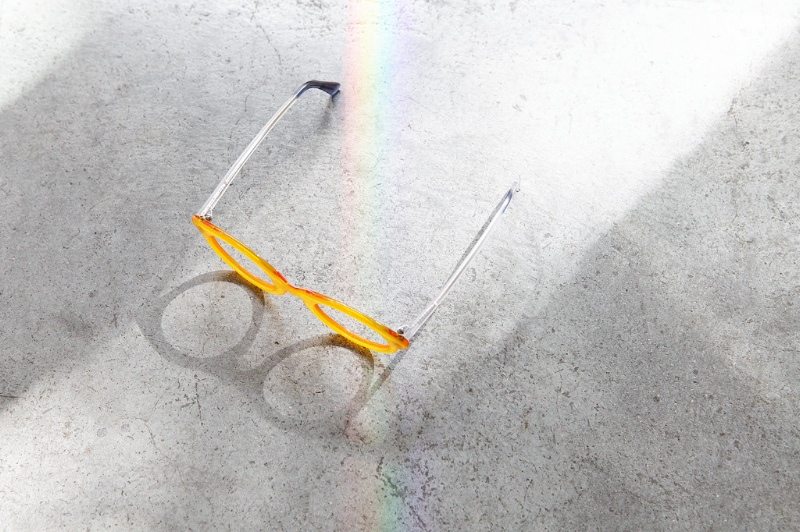 Since then, the “head honcho” and her team have cornered the bespoke spectacle market, doing wonderful things that only a very few talented eyewear crafters can do. “We’re the only ones in Canada. We do everything by hand. There are plenty of talented designers here but we are the only company that will create entirely handmade, custom designed frames for people”. 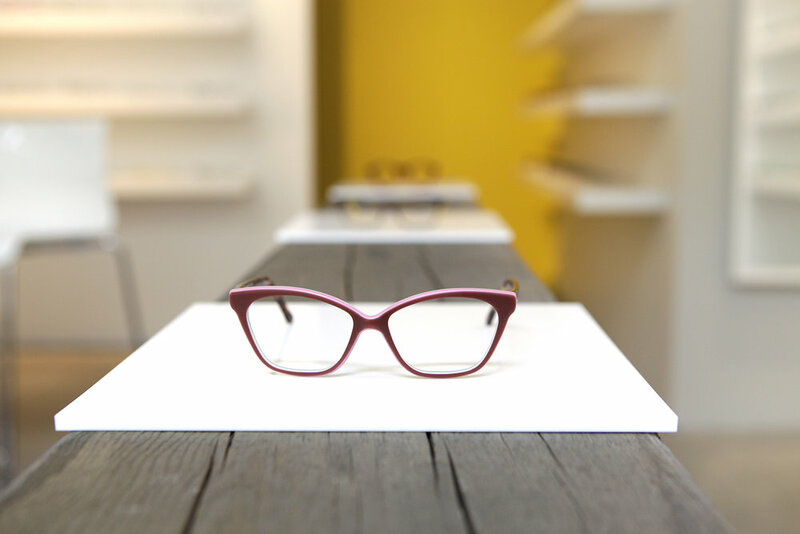 From the frame shape, texture, color and internal content, this seasons offering is a de facto one of a kind collection. 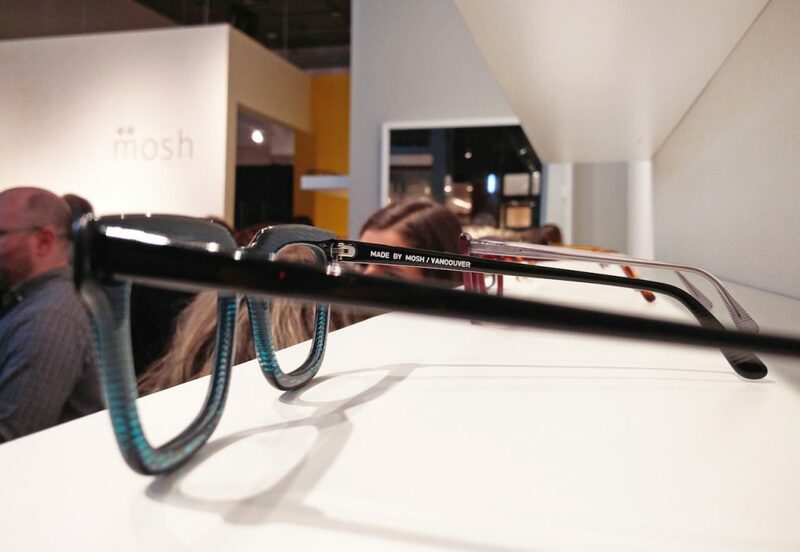 The detailed construction of Mosh eyewear involves a process that is largely time consuming. The result is a collection of glasses both beautiful and rare with a limited amount created per year. An exceptionally talented artisan, Sara was recently invited to speak about her creative process at PechaKucha Vancouver Vol.42.